Creative Youth Partnerships ; Mural in Portrush Youth Centre and Murlough Community Centre and Waveney Youth Centre. Silk murals in Hydebank Young Offenders Institute. 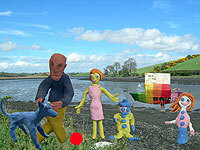 Animation in Drumragh College and Dungiven/Limavady Alternative Education Project. Video documentary with Moyle Youth Development Project. 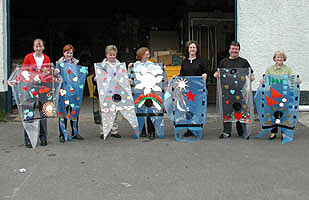 Sculpture with Laurelhill P.S. Young at Art ; Sensor Shacks for YAA Festival and Outreach programme in Primary Schools all over N.I.